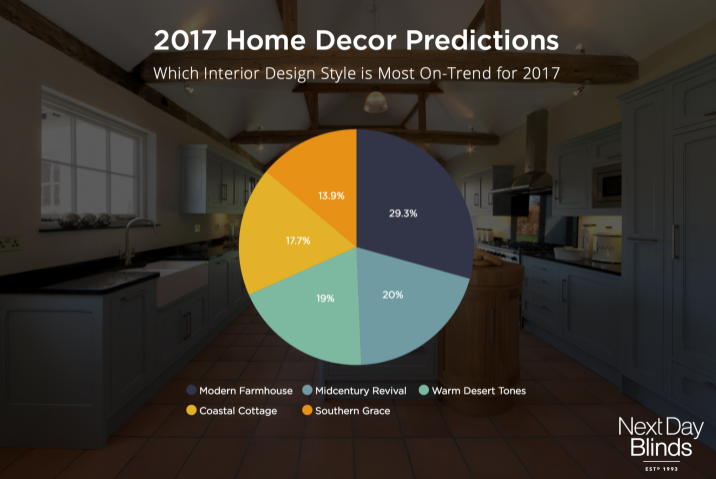 Check out this style for your Puget Sound home: The Modern Farmhouse> It is the number one trend in home design this year, according to a newly released survey by Next Day Blinds. We may have Joanna and Chip Gaines from the HGTV hit show “Fixer Upper” to thank for the surge in popularity of this rustic style. 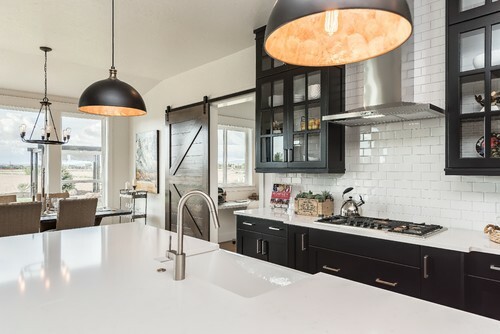 This style can be channeled in a variety of ways, from planked walls, rustic sliding barn doors to mix-and-match fixtures, reclaimed wood tones, and black trim. Men vs. Women: If it was up to men – and money was no object – they would invest in a new entertainment stand this year. For women, they’d choose to purchase a new kitchen table. 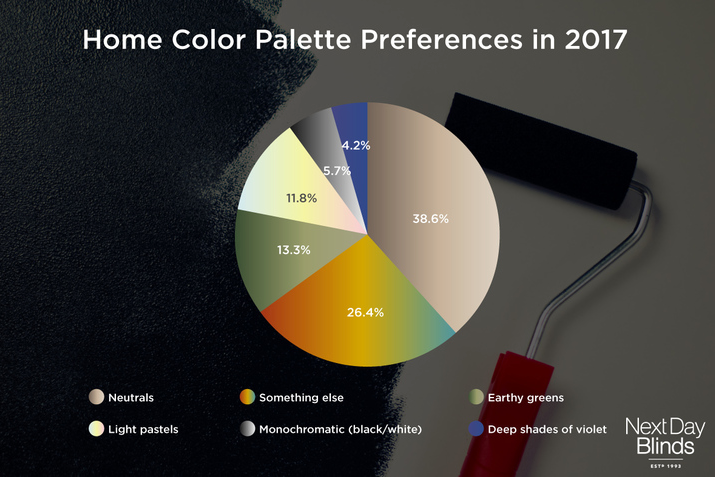 Further, men tend to care more about the brand name of a home décor purchase than women do. 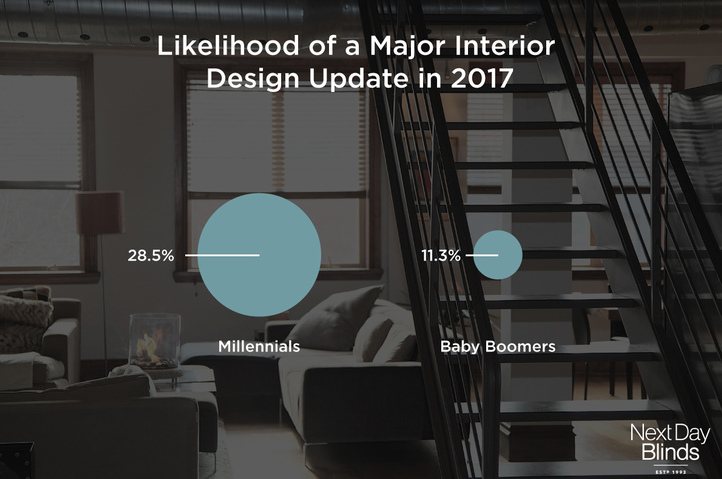 Millennial redos: Millennials are much more likely than baby boomers to update their home in the new year. Watercolors on Walls? You Bet!